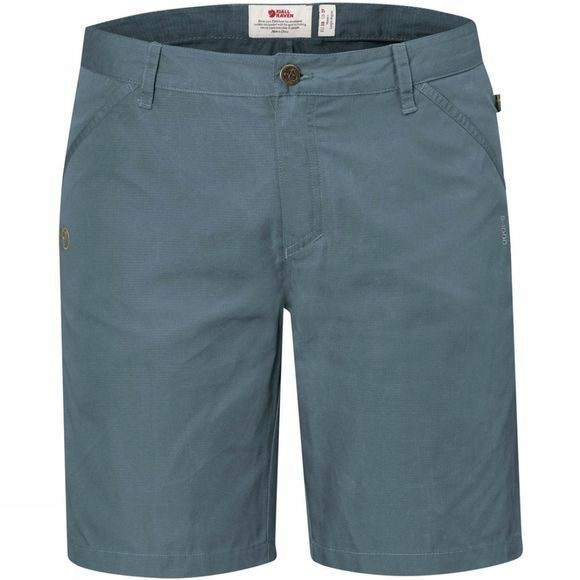 Light, packable shorts for warm conditions and relaxed summer outdoor life. Made from durable, fast-drying G-1000 Lite that ventilates out moisture well. Simple design with only the most essential details to keep weight down. Two hand pockets and a zipped back pocket. Double belt loops at the back keep your belt in place. The cut is comfortable with a mid waist and regular fit.